Williams & Company P.C. announces acquisition Williams & Company P.C. (Williams & Company), one of the leading regional accounting firms in the Midwest, announced the acquisition of the Estherville, Iowa-based, Nelson, Gayer, Versteeg, CPAs (NGV), accounting firm. Danny Dekker, currently a manager in the Williams & Company Spencer office, will be leading the Estherville location through this transition and into the future. Dekker has been with Williams & Company since June 2007. He has extensive tax and audit experience and is looking forward to meeting and working with the clients and staff in Estherville. The appeal of this acquisition is that both firms share the same values and core commitment to their clients. Current NGV clients will experience relatively few changes as the entire NGV staff will be joining the Williams & Company team. Their dedication to the success of their clients and expectation of personalized service will not change. NGV clients will continue to benefit from their Estherville staff relationships while gaining the resources and expertise available through Williams & Company. Williams & Company currently has five offices in Iowa located in Sioux City, Le Mars, Onawa, Sheldon, and Spencer. The firm also has an office in Yankton, South Dakota. They are a full-service accounting and consulting firm providing traditional tax, accounting and attest services to individuals and businesses of all sizes, as well as services in the more specialized areas of government, not-for-profit litigation support, business valuations, wealth management, and agriculture. CPAmerica has been busy adding to the association - stay tuned next month for another new member snapshot! Sobul, Primes & Schenkel was established in 1981 and built with primary job is to solve their client's problems. With every client, are committed to helping each client achieve his or her greatest potential. New Member Snapshot: Stoy, Malone & Company, P.C. Stoy, Malone & Company, P.C. be Frazier & Deeter. “We certainly chose an exciting time to expand to London! Obviously Brexit has been quite a roller coaster ride for the business community in the U.K. We see our move as offering a new option to businesses who may be having to re-think their providers and alliances. We also believe that our relationshipfocused model which emphasizes meaningful access to partners will be well received in the U.K.,” said McDaniel. With headquarters in Madison, Wis., announced that Kristine Boerboom has been elected as a partner. The firm is currently led by Glenn Miller, managing partner, and Boerboom will join the leadership team of 15 other partners. “Wegner CPAs continues to experience Kristine Boerboom strong growth and these promotions demonstrate our recognition of the talented team that are key contributors to our success,” said Miller. Boerboom is in charge of the firm's Employee Benefit Plan Audit Practice and has extensive experience in auditing of single employer, multi-employer and multiple employer plans, as well as plans with a variety of funding arrangements. She excels at providing guidance on all aspects of ERISA issues. Greensboro, N.C.-based PLLC (DMJ), announced that Kimberly Cossaart, CPA, has joined the firm as a tax manager in DMJ’s Greensboro, N.C., office. Cossaart has worked with large multi-state C corporations, closely-held S corporations and partnerships, sole proprietorships, and high net-worth individuals. Cossaart earned a bachelor's in accounting from Loma Linda University and is a member of the American Institute of Certified Public Accountants (AICPA) and the North Carolina Association of Certified Public Accountants (NCACPA). DMJ also announced that Natasha Louya, CPA, has joined the firm as a tax supervisor in DMJ’s Greensboro, N.C., office. Louya has also worked with high net-worth individuals, closely-held S corporations and partnerships, large multi-state C corporations, and non-profit organizations. Louya earned a bachelor's and master's degree in accounting from Appalachian State University. She is a member of the AICPA and the North Carolina Association of Certified Public Accountants. , announced the addition of Michael Arena as leader of their Transfer Pricing Group. Arena is a frequent speaker on international tax. In addition to a degree in finance from Georgetown University, he received his J.D. from Washington University School of Law in St. Louis, Mo. Williams & Company P.C. welcomes two new shareholders Member firm P.C. admitted two new shareholders to the firm: Wesley Simpson and Justin Jacobsma. Simpson leads the Tax Department with extensive experience in business consulting, tax planning and preparation as well as assisting startups, established businesses, farmers and individuals. Simpson joined the Spencer, Iowa, office in 2005 as a staff accountant advancing to manager in 2012. He is a 2001 graduate of Coe College in Cedar Rapids, Iowa, where he earned a bachelor's in business and accounting. Simpson earned his CPA certification in 2008. Jacobsma has experience in governmental and non-profit audits, income tax preparation as well as preparation of financial statements. Jacobsma joined the Le Mars, Iowa, office in 2007 as a staff accountant advancing to manager in 2014. Jacobsma is a 2008 graduate of the University of Sioux Falls, where he earned a bachelor's in accounting. He earned his CPA certification in 2014. Wallace, Plese + Dreher announces new partner Christopher T. Coots, CPA, PFS™, J.D. Member firm L.L.P. 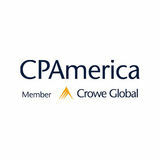 (WP+D), recently announced thier new partner, Christopher T. Coots, CPA, PFS, J.D. Coots has more than 20 years of professional accounting experience and provides tax planning and consulting services to partnerships, corporations, estates and trusts. Working with privately-held businesses and their owners, he develops tax plans maximizing cash flow and minimizing tax liabilities. Before pursuing his accounting career, Coots practiced as an estates and trusts attorney serving individuals and families. He earned his bachelor's in accounting from Indiana University and his law degree from the University of Arizona, James E. Rogers College of Law. In addition to holding an Arizona CPA license, he is a Personal Financial Specialist (PFS) with experience in succession planning and other matters influencing financial goals. valuable to our team, and we are happy that both are part of our leadership group,” Scott Goldsmith stated. “Both are very highly regarded internally as professional staff teachers and mentors and their clients love working with them.” The addition of Taylor and Moore makes six females of the firm’s fourteen current shareholders. JMF has a legacy of hiring and promoting women, including the first female CPA in Tuscaloosa, the late Doris Grammas. Kristi Moore has over 15 years of experience in public accounting. She is a member of the Alabama Society of Certified Public Accountants (ASCPA). She is also a graduate of Leadership Tuscaloosa, the ASCPA Leadership Academy, and is an A-Team Coach at the Church of the Highlands. Kristi is a graduate of Tuscaloosa County High School and the University of Alabama. Rachel Taylor has over 13 years of experience in public accounting. She is a member of the American Society of Woman Accountants and the ASCPA. She serves on the boards of the Hospice of West Alabama and the Federal Tax Clinic. She has previously won the Woman to Watch award from the ASCPA and the Defining Women of the Year award from the Chamber of Commerce of West Alabama’s Women in Business Council. Rachel is a graduate of Tuscaloosa County High School and the University of Alabama. She is married to Andre Taylor, and they have two children, Madeline and Joseph. She is also a graduate of Leadership Tuscaloosa and the ASCPA Leadership Academy. , announced their newest partner, Gail Iverson. Managing the firm's Business Services Division for seven years, Iverson's insight and experience have made her a vital part of the leadership team. Gail Iverson She works with small business owners and managers in all financial aspects of their operations, providing big picture counsel as well as managing detailed periodic financial statements and reports. Iverson applies her expertise to tax planning and preparation. In addition, she oversees staff members in working with clients to provide solutions for data processing and payroll services. A graduate of Valdosta State with a degree in accounting, Iverson earned her CPA in 1986.
to help strengthen performance in this role. Upstream Academy’s Jeremy Clopton will explore the subjects of learning how to work differently and the importance of gaining trust. He will also get into business development strategies to support new p a r t n e r s’ r e s p on s i b i l i t y t o d r i v e r e v e nu e . Keeping in the spirit of CPAmerica’s platform of sharing, we turned internally for expertise from member firm partners who have walked in new partner shoes. These seasoned partners will bring insight and experience on their own transition to leading people in a different way and evolving from being tactical to strategic. Many of the committee members are alumni of our Next Gen program and decided to carry over the “Ask a Partner” panel where the anything-goes discussion will rise to a whole new level. After the meeting, there will be several sharing calls available to the group to provide ongoing development as a partner. At the rate of change happening in the profession, it is imperative partners are equipped to think and act at an executive level. And ironically at this time of year, thinking of big picture strategies is probably the last thing on anyone’s mind in the firm, much less new partners straddling between their old way of thinking and the new. We are excited to see the New Partner Group become an integral piece of the professional development path crucial to the success of our firms. experienced in federal and state tax compliance, ASC 740, acquisitions, IRS examinations and multistate and international issues. Lamb joined ML&R in 2014 and provides transaction advisory services for private equity investors and strategic buyers. This includes buy-side and sell-side financial due diligence. Prior to his time in transaction services, Lamb attended law school and worked for seven years in audit. McElwrath joined ML&R Wealth Management in 2013 and is a wealth advisor assisting high net-worth individuals, nonprofits, and corporate retirement plans to develop long-term investment plans and portfolios designed to help achieve their financials goals. Her expertise is working with private business owners, corporate executives, trustees, and retirees. McElwrath is a CPA and a CFP.